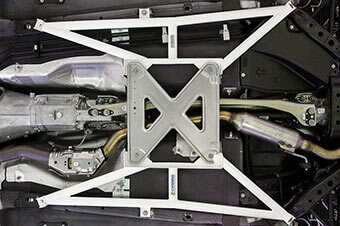 ・This floor sub-frame connects center of the vehicle chasses. Floor sub-frame add rigidity of front and rear part of slide door to support center of chasses to prevent body flex. It improves driving comfort. ・Steel bars are White powder coated for scratch and rustproof.